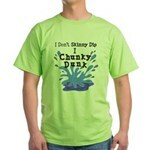 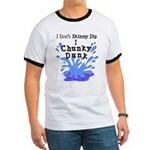 Chunky Dunkers wear it loud and proud! 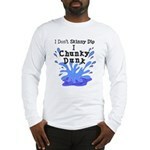 A graphic / text t-shirt for fat pride. 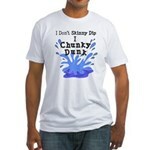 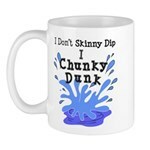 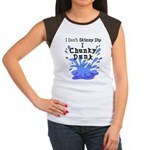 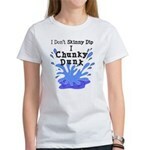 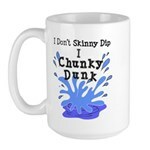 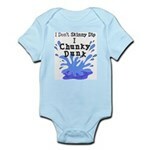 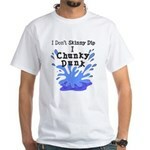 Text reads I Don't Skinny Dip I Chunky Dunk. 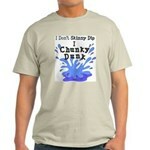 A graphic of a big chunky splash accompanies the text.